You can’t just write a few words, publish an article, and then expect it to do well anymore. There are so many things you have to do before and after publishing a post. In recent years, printables are becoming wildly popular as a way to value-add to your blog posts. I don’t know about you, I can’t even draw a stickman properly. I doubt that I even have an ounce of artistic flair in my body. I’m not being negative guys, it’s just being aware of the truth. 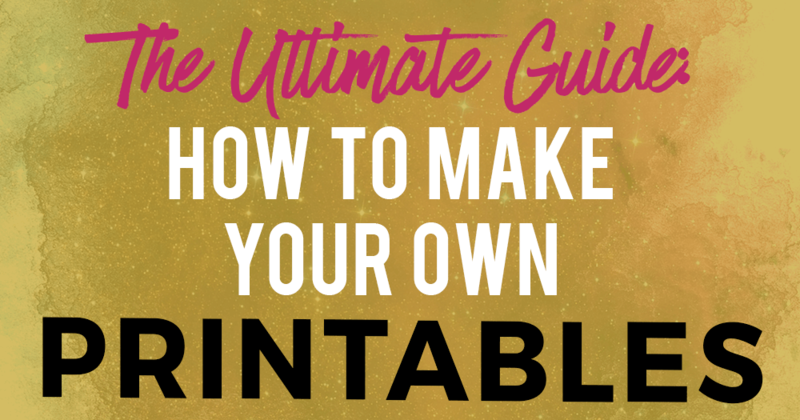 Yet in this post, I’ll show you how you can make your own printable even if you don’t see yourself as an artsy person… it’s actually really easy! Right now, I use Microsoft Word and Photoshop. But you can use any of these tools. When I first started, I used Canva and it was really easy to use as well. Let me kick off this post by saying that the best way to do this is to practice, practice, practice. Inevitably, the first couple of printables you create may not be the best ones. But they are essential for you to improve your skills. So stop procrastinating, open up a program that you have, and start de-si-gn-ing! I typically use Microsoft Word for the more word-intensive printables. Here is an example of something recent that I did with Word: 250 best email subject lines. I love using Word because it makes the creation process REALLY easy. You need a background for this. I typically use a shape and drag it to fill the entire first page. This can be done by clicking on Insert > Shape > Rectangle. Or you can add in an image of your own as well, via Insert > Pictures! You can then insert text boxes via Insert > Text boxes for the words on your cover page. Remember to use your brand fonts and colors! Between the background, adding images, and your words, it may take you a while to come up with something you like. The way Microsoft Word works, you can configure a default header and footer that will be “fixed” at the top and bottom of every page. 4. Add in your content! Once you’re done with the above steps, you can add to your content from page 2 onwards, as you would to a normal Word document. When you’re ready to save it as a PDF, go to “File” > “Save As” and save the file as a PDF. Canva is a free tool that you can use to create your printables as well. The great thing about Canva is that anyone can use it to create something amazing! They have a bunch of pre-made templates that you can use as well. This would likely either be an A4 Document or a US Letter Document. 2. Choose from pre-made templates, or make your own. 3. Add in images, elements, text. Whether you’ve chosen a template or not, toggle through the tabs on the left to add images, backgrounds, text and more. I find the user interface rather self-explanatory. You can pick from a wide selection of images that Canva has or you can upload your own under the “Uploads” tab. In the editor, you will easily be able to change font colors, font sizes, font faces, and more. 4. Click on “Add a new page” if you want to! Once you’re done with the first page, you can add a second page (and more) by clicking on the “Add a new page” button. Click on the big “Publish” button on the top right-hand corner and click on “Download as PDF”. You’ll be able to download your new printable! Don’t forget to save your file so that you can use this template for future printables. Kickstart Your Blog is my step-by-step beginner course that will help you start and grow a new blog + biz profitably, even when you have no tech knowledge and minimal time. From starting your blog, to setting up your plugins, to becoming a blogging pro, I’ll be hand-holding you and showing you exactly how, every step of the way. …Kickstart Your Blog is the smart, dependable BFF that every new blogger has to have – filled with resources that will change your blogging game! If you’re a beginner blogger, do check out Kickstart Your Blog! This works similarly to how you can make printables using Microsoft Word. By default, a powerpoint presentation will be horizontal. Go to File > Page Setup to change your file dimensions if you want to change your file to a vertical file instead. Depending on the version of Microsoft Powerpoint you are using, you want to format your background. Right click on your slide and click on “Format Background”. Select “Picture or texture fill”. You will be able to insert an image as a background if you want to. Otherwise, you can click on “Solid Fill” if you want a solid color as your background. Aside from your background image, you may want to insert additional pictures. You can easily do this using “Insert” > “Picture” > “Picture From File” from the top menu. Rinse and repeat this for all your other powerpoint slides, where 1 slide = 1 page. You can change the size of the image by clicking on the picture and dragging the corners. Click on the “Picture Format” tab on top to further edit your image and how it looks like. 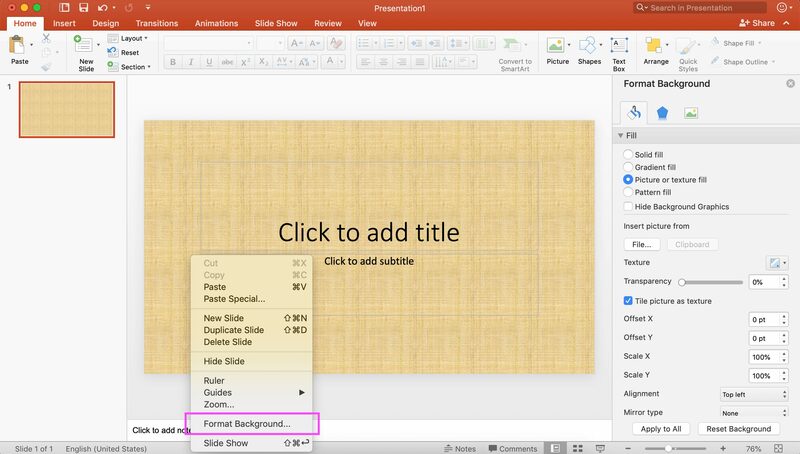 You can add text throughout your powerpoint document using “Insert” > “Text box”. By adding images, text, and backgrounds, edit until you are happy with the final results. When you’re ready to save it as a PDF, go to “File” > “Export” and export the file as a PDF. 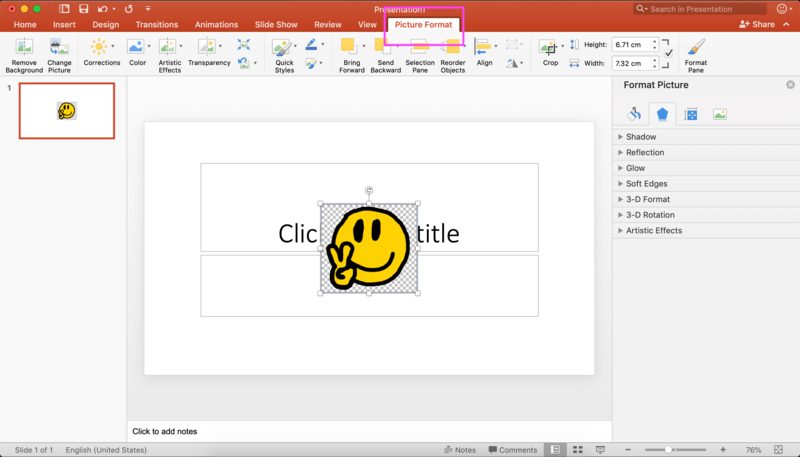 Check out this video for additional help on how you can make your own printable with Powerpoint! There you go! It may be hard the first time around but once you get the hang of things, you will be able to create your own printables very easily. After you’ve created your first printable, be sure to save the raw file somewhere on your computer (or in your Canva account, if you’re using Canva). The next time you want to make another printable, all you have to do is to open the old file, save it under a new name and then create a new printable using your old one as a starting template. As time passes, you will find that making your own printables gets easier and easier as you have more and more templates to start with. Your Post Is Very Nice , According To Me Canva Is Best For This Purpose.